Trade-In and Upgrades are Welcome For all Models. 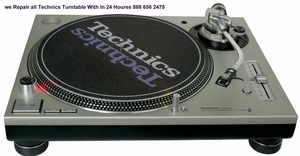 Our in-house technicians repair all pro DJ, audio, video, and general electronic equipment. Same day service available. We Repair All Technics Turntable With In 24 Hours.